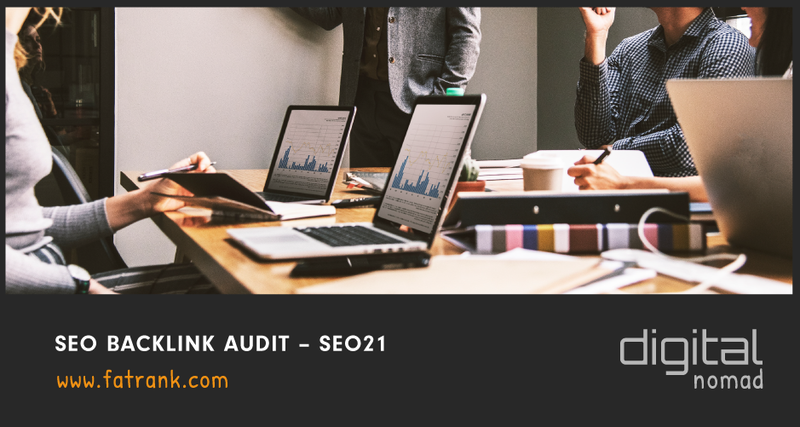 Here at fatrank we have conducted a SEO Backlink Audit for SEO21 website who are an internet marketing business based company in Newcastle. 00:00 – Hi. It’s Dan here, and today I’m just going to be doing a very quick link audit on the website SEO21. I’m going to be looking at a key word that they would like to rank for and seeing what we feel it could be improved just with a few little tweaks and little changes, and look at some of the data that exists and see what other sites are doing around that key word. 00:19 – If we just head to Ahrefs over here. You’ll see that I’ve actually searched for the key phrase “SEO outsourcing UK.” So, obviously that’s companies that are looking to outsource their SEO products or services within the the United Kingdom to other companies, other businesses, individuals, that kind of thing. This is a very relevant key word for a site like SEO21 to be wanting to rank for. 00:38 – You’ll see there in the results page that SEO21 actually ranks number five, so it’s not doing terribly, but obviously there are sites that are outranking it, and we found kind of a correlation of why we feel that is the case. 00:51 – So, if we just take a little look here, the very first thing that we’ll notice on this right hand side is the backlink section. The backlink section here, if I just hover over the ‘i,’ literally as it says it shows how many backlinks are pointing to a given URL. So, in this case, it’s the URLs over here over the left hand side. So, if you look SEO21 there, this SEO21UK/whitelabelSEO, which obviously is the SEO outsourcing UK page that they’re trying to rank for, currently has no backlinks going to that page. So, obviously whilst it’s a relevant page that the keyword look to rank for, it doesn’t quite carry any authority when there’s nothing going to it. Whereas, if you have a look at the sites that are outranking it, number four there is the series outsourcing URL. They have three backlinks. Click through is obviously SEO outsourcing for agencies. That’s six backlinks. Number two here, SEO outsourcing has 58 backlinks. And then finally, as SEOoutsource.co.uk has the exact same URL obviously, so maybe you can count that as the same thing, but regardless, a lot of backlinks going to their pages, and that’s why there’s such an authority in the niche. 01:54 – Then obviously those underneath with six and three, they have some backlinks and they have some power that goes to the URL, whereas currently SEO21 just doesn’t have any backlinks going to it, so there’s nothing really, you know, nothing there that’s really helping it. 02:07 – So, my first bit of advice for this site would be to have some good backlinks going, obviously, through to this page, just to add that bit of power because right now it’s kind of a weak link in relation to the other people in the industry. 02:22 – The second thing I wanted to mention was about relevancy links. So, this is obviously very important. So, I went to SEO21.co.uk’s home page here. Just an example of some of the linkings to the home page, you can see that there really isn’t relevancy. It’s all … None of these links are marketing related, they’re not business related, nothing really related to the topic of what they’re trying to rank for And that’s just going to the home page itself. So, as you can see, you’ve got kind of a therapy site, physiotherapy site, physio, etc., Google Plus, a lot of foreign text here. I’m sorry, foreign URLs. So, there really isn’t much in the way of relevancy, and that obviously carries through over here to the inner pages where there’s no backlinks going to the first place. So, if there’s no backlinks, there’s obviously no relevant backlinks. 03:07 – So, what I would recommend there, just going to hone in on, like I said, those kind of business, those marketing type of links you can kind of pick up to your website that will just help with that bit of relevancy and tell you what this URL or this inner page is really about. Because currently there’s no real guidelines telling Google that this URL is about outsourcing UK. Other than the concept you created, there’s no backlinks to support that. There’s no marketing or business specific backlinks going to that URL. 03:36 – So, for this specific key word, I definitely recommend obviously some more backlinks going to that URL and also just some really relevant backlinks going to that URL, as well, making sure that whatever you’re building isn’t particularly off topic or irrelevant, just making sure that the relevancy is really the focus and getting good marketing and business type of blogs or sites to link to you. That’d be the best thing, I think, especially to help with this kind of key phrase. 04:01 – So, that’s the audit, guys. Thanks for watching. See you guys later. As Dan explained in the video, the website could do with some more professional work on the links to help with improving in google rankings. The two articles above explain the topics in a lot more detail and will give you a solid understanding about the way to go to solve the issues. 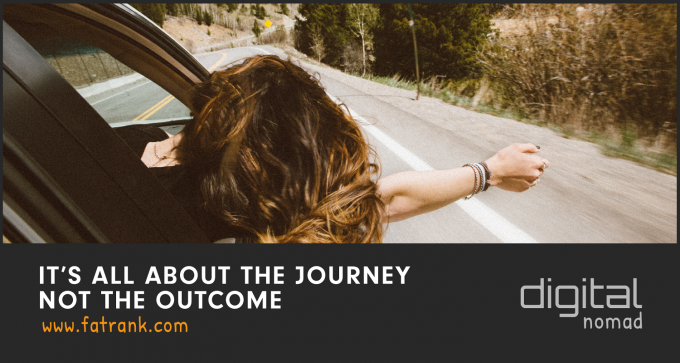 Try and look for guest posts from QOQ links that are relevant to your niche. Have a look at getting some tier two links from QOQ as well. Think about buying some social blasts to pages which have zero social signals. Once these steps have been completed, make sure that you wait a few weeks as the random ranking factor will be in effect. When a few weeks have passed and the ranking has improved, then we would recommend to focus more heavily on other keywords you wish to rank for. Thanks for one marvelous posting! I enjoyed reading it.I’m bookmarking and will be tweeting this to my followers! good one i must say.